Adacolumn Cake, a photo by CAKE Amsterdam - Cakes by ZOBOT on Flickr. 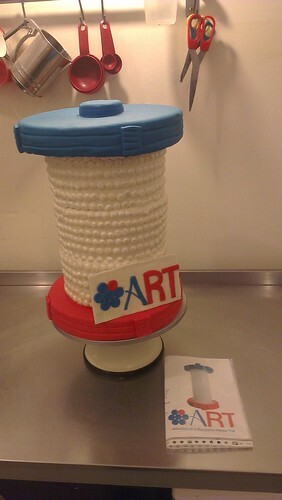 Cake made for a Adacolumn symposium during a medical convention in Amsterdam. This gismo filters and treats blood diseases! Well not this one... this one is made of cake... but the real deal is no joke, a pretty cool machine!